BrightStone expands the potential of adults with special needs by providing opportunities and solutions that enrich their lives. To provide a comprehensive work, social support, and future residential community for adults with special needs, expanding their potential and helping them develop mentally, physically, socially, emotionally, and spiritually. BrightStone gives each adult a reason to get up in the morning and something of value to do. To assist in the life journey of adults who live each day with a developmental disability by making it possible for them to live and work in a community of their own choosing. Our vision is to provide whole life care, meeting the needs of job, home, recreation and social, physical, and health in a God-centered, caring environment. This future is presently taking shape as we have purchased 138 acres in Williamson County. Once the new campus is built, administrative, job training, life-learning classes, and therapeutic activities will be on one campus along with a variety of living opportunities. BrightStone desires to be that answer in the best possible way, assuring that quality, individualized and loving care is provided in a Christian environment. BrightStone is in the "life-saving" business! BrightStone began when local special educators, families of adults with developmental disabilities, and a caring community in middle Tennessee saw a great need and made a commitment to meet that need. At the time research revealed that 72% of all students exiting local high schools, who had received job training and accomplished work skills, were still living at home with no prospects of a job and no post-secondary opportunities. On September 7, 1999, BrightStone opened its doors to four students and their excited families at The Peoples Church in Franklin, Tennessee. The donated space allowed the students to participate in job training and life learning classes, and Phase I of BrightStone began. As the number of individuals served began to grow, it became obvious that more space was needed. 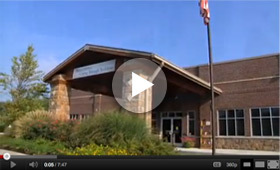 In 2007 BrightStone students and staff moved into our first building. Built specifically to meet the needs of our adults, it was now possible to expand the job training program, enhance health services, and significantly increase the number of individuals we could serve. This Phase II of BrightStone also saw administrative offices and student programs together under one roof for the first time. Today BrightStone provides a full curriculum of job skills, productive work habits, functional academics, computer skills, health and nutrition, physical wellness, art, music, crafts, community activities, daily life skills, and leisure and learning activities along with supervised transportation. For more information, please to view our Fact Sheet.